If you and your partner is struggling to conceive the child from the very long time, so don’t worry we are here to help you in this context. The price of IVF treatment is not more the reason that can hold you back not to conceive the child. 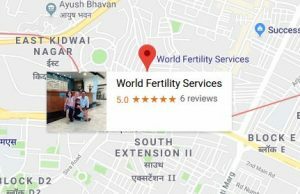 Even your budget of the IVF treatment is less so in that case we have some of the techniques by which the patient can easily conceive within the budget or with the procedure can perform outside of the nation with the reasonable price as well. When you first look at alternative therapies – such as acupuncture or massage – to add to your IVF treatment, you may think that they simply add to the overall cost of IVF. These treatments, however, may mean that you pay less in the long run by making IVF more successful in fewer rounds. Acupuncture, for example, has proven quite effective in raising a couple’s chances of becoming pregnant through IVF; one study showed that couples who used acupuncture with IVF were about 24% more likely to become pregnant, and a few studies have shown that couples who use acupuncture with IVF are less likely to have miscarriages. Because alternative therapies increase the success rates of IVF, they drop the potential overall cost. Traditional IVF was created to help women with blocked tubes become pregnant, and the whole process usually involves injecting a woman with some pretty heavy drugs to help her ovulate. The goal during standard IVF is to harvest as many eggs as possible, and usually more than one egg is implanted, which gives couple’s a higher chance of pregnancy but also a higher chance of a risky pregnancy with twins or triplets. This new MS IVF procedure, which is really only new in the United States since it’s been practiced in Europe and Japan for several years now, refrains from the heavy injected drugs, which cuts down the cost significantly. Instead, women undergoing MS IVF will be given an oral drug that only slightly stimulates ovulation, and the physician will only harvest one to two eggs. The rest of the process is the same as IVF, and its success rates are fairly close to those of traditional IVF. Because the injected drugs make up a huge chunk of standard IVF costs, MS IVF is a whole lot cheaper. The average cost of a single round of IVF is about $12,000, but the average cost for a round of MS IVF is about $4,500. Both procedures usually take more than one round to show results, but even if couples must undergo several rounds of MS IVF, the total cost is probably cheaper, and women are much less negatively affected by the less potent MS IVF drugs. The reason to have the fibroids surgery are very complex and including the situation like heavy uterine bleeding after a number of months and no improvement in the health of the patient, most of the time the possibility of the fibroid grow after the menopause. most of the time the patient can easily ignore it what is the reason to have a miscarriage again and again and they start to find out the problem in their lifestyle. The reason to have fibroids is the urinary problems and after a time it proof that it is very dangerous for the health of the woman. As we have already mentioned that most of the time the patients ignore the signs of it or not able to catch this and that is the direct sign that you are dealing with the problem of cancer at the present time. After all the tests and the procedure of the fertility still the patient is not getting pregnant so it means fibroids because it creates the problem within the pregnancy and the patient face problem to conceive the child. When it comes right down to it, most medical treatment is simply more expensive in the United States than it is in other countries. This is why many couples are turning to medical tourism to lessen the costs of IVF. While this may seem strange and far-fetched to you, if can actually save you a ton of money. Remember that $12,000 price tag on a round of IVF? Well, that cost drops dramatically, and one round of IVF in someplace like South Africa can drop to about $5,000. In fact, most couples even save money after buying plane tickets and hotel rooms and such, and they get to go somewhere new, which can be a fun way to relieve some of the infertility-related stress. Before deciding to forego your dreams of having a child simply due to the cost, be sure that you look at all of your options. You can also find infertility insurance or buy an IVF package from a clinic. 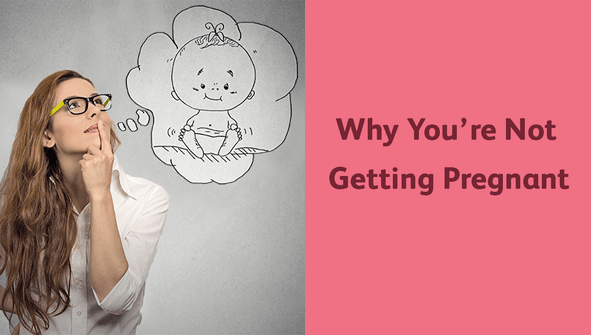 At any rate, there is no reason to let cost deter you from having a baby if you do all the research first.